This is a rich and glorious wine with so much blackberry and salty character. Light hints of cloves and green coffee beans. Full-bodied, layered and tight. Focused and racy. Cabernet franc with cabernet sauvignon, petit verdot, merlot and malbec, Drink or hold. 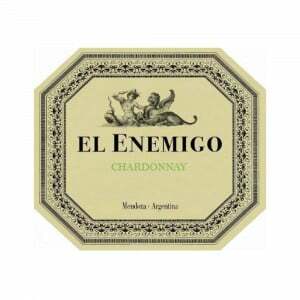 I don't really know why, but the 2014 Gran Enemigo showed much better than the 2013. The year was certainly not better; it was quite challenging and slightly warmer, but the wine feels fresher. There is a high percentage of Malbec in this vintage, almost half of the blend, and they also included more parts of the vineyard in addition to the five-hectare plot where there is some variability in the soils, which perhaps increases complexity of the blend. There are three harvests—one of only Malbec, then the rest of the varietals with some more Malbec and then a third one of only Malbec. Thus, there are also three fermentations, and there are five wines since the second and third harvests are fermented in two parts, one with 100% full clusters and the other with 30% full clusters. These five different wines are later blended together. Fermentation is in used 225-liter barriques, and the élevage is in old 2,000-liter foudres. 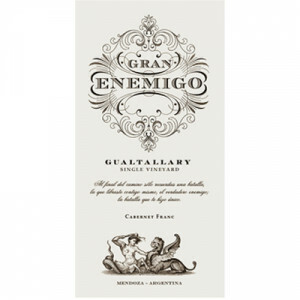 This has to be the best harvest of the Gran Enemigo blend.